Can you recognize the emotion in a dog's bark, or a tree shrew's click? It may be more difficult than you think. The sounds of a happy animal may be harder to identify than the call of one in distress, says a new report published by a group of German scientists in the research journal PLOS ONE. In the study, the researchers gave headphones to 28 men, sat each in a dim room, and played back sounds made by four different species: human infants, dogs, chimpanzees and tree shrews. The scientists then asked participants to identify the animals by species and emotional state. Perhaps unsurprisingly, none of the subjects could recognize the tree shrew. On the other hand, the participants positively identified human infants and dogs more than 90 percent of the time. (And, yes, the human infant sounds were, by and large, correctly identified.) But while the men recognized that barks and growls signified an unhappy dog, they couldn't discern the positive barks of dogs at play. And while roughly three-fourths of the study participants recognized the chimpanzees' loud cries as the sounds of a primate, few could identify the chimps' low, laughing sounds. Once the experiment was finished, many of the participants "were surprised to learn that chimpanzees could produce such laughter sounds at all," the authors write. The cries of chimpanzees "are very loud" and "may be encountered in zoo settings or in the media," the authors note, but the soft sounds of chimp laughter are "rarely displayed." The stronger reaction to negative sounds may be due to our evolutionary wiring, the authors suggest, as a way to recognize threats. But, as they point out, understanding any animal's call without observing it, as well, makes it much harder. 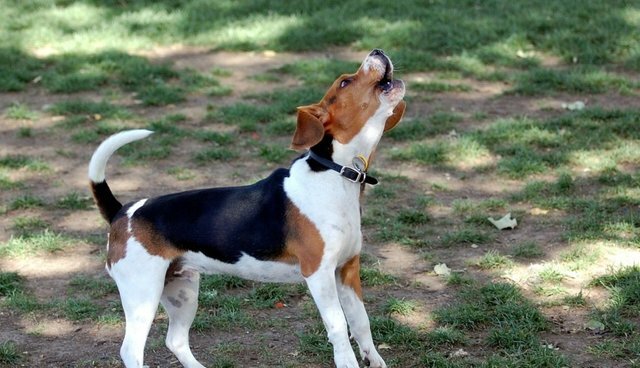 It's much easier to tell if dogs are barking happily, for example, when they're chasing after frisbees.